Butter isn't cheap, so it's a good idea to stock up when it’s on sale. Did you know that it stores well in the freezer for up to six months? Just remember to pack the bricks in an airtight container so the butter doesn’t take on the flavour of whatever else you’re freezing. Who knows, you could be stashing it next to old soup bones for that day when you make a big batch of chicken noodle for all Tightwad knows. 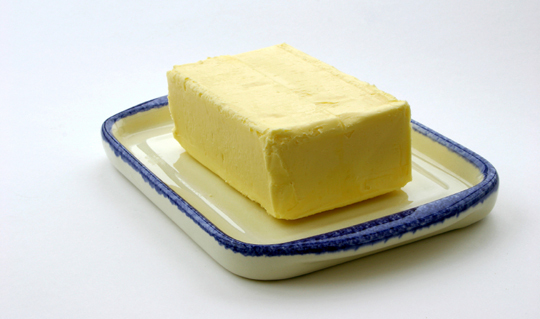 For another way to stretch your butter budget, click here.